We have already reported that the recent teaser launch of Oopiri has taken the expectations to new heights. It is also known that Oopiri, which also stars Karthi and Tamannaah is a bilingual release in Telugu and Tamil. The Tamil version has been titled Thozha. To keep the realism intact, Nagarjuna is going to be dubbing for himself in the Tamil version also. 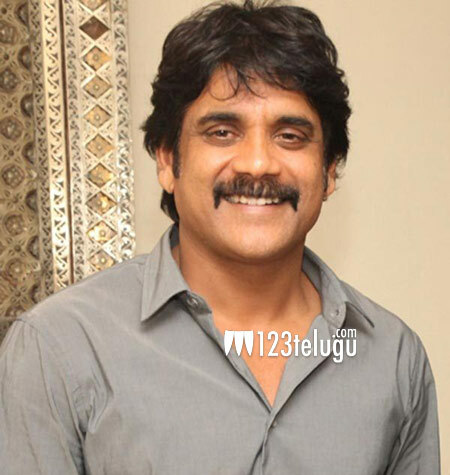 This will be the first time that Nagarjuna will be dubbing for himself in Tamil. Produced by Prasad V Potluri, the film is based on the French film The Intouchables. The audio is slated to be launched on February 28th while the film will have its bilingual release on March 25th. Vamsi Paidipally has directed this flick.